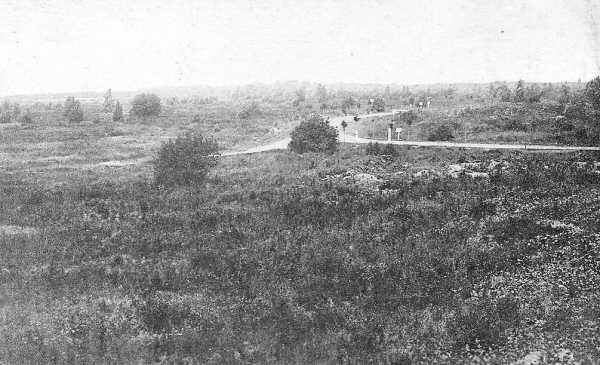 This page covers some of the many sites of interest in the area around Vimy Ridge. There is a separate page devoted to the Vimy Ridge Memorial Park itself. 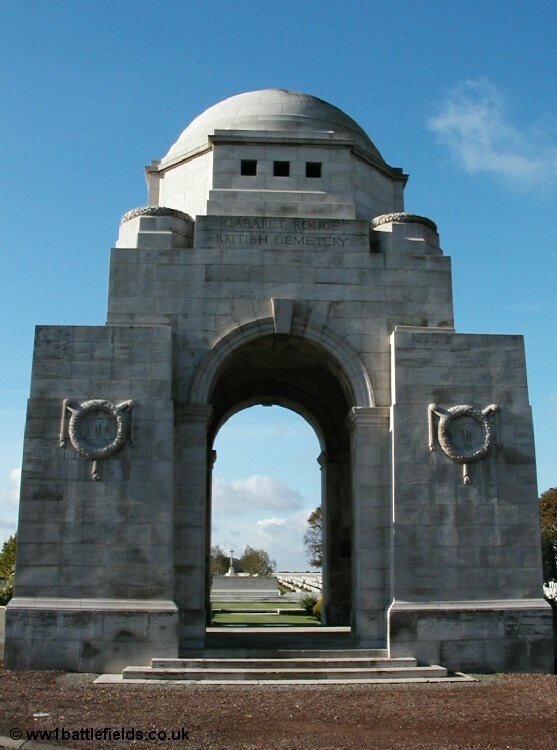 There are two cemeteries located south of Vimy, both of which are rather unusual in their design. Both were originally mine craters, in which the Canadians buried bodies of the fallen during 1917. 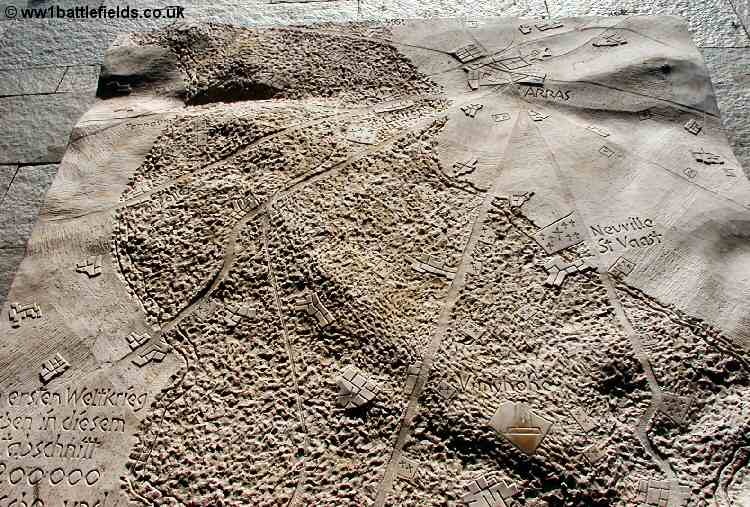 They are Zivy Crater and Lichfield Crater Cemeteries. 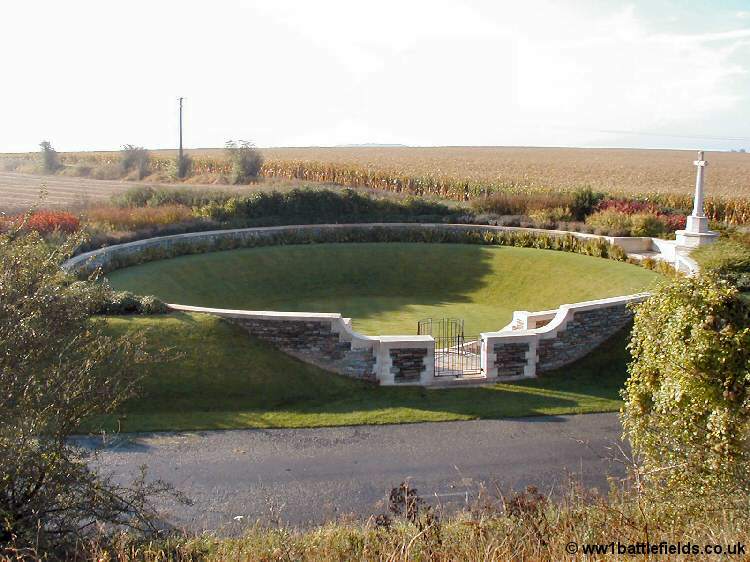 Zivy Crater Cemetery is found just off the D49 road heading west from Thelus towards Neuville-Saint-Vaast and la Targette. It is located below the road to the left, just after you cross over the A26 motorway. There is a small road which leads to it, although a good vantage point is obtained from the side of the main road above. This cemetery was originally denoted only as CB1 (which is still inscribed on the gatepost), and is actually a mass grave. It is a simple circular bowl shape, with no headstones. The picture below shows the cemetery looking west, and the cross of Neuville-Saint-Vaast Communal Cemetery and the village church can be seen behind it. The names of those buried here are listed on six panels surrounding the base of the Cross of Sacrifice, with the central panel directly beneath the Cross showing the maple leaf and bearing the statement “In this crater are buried 48 Canadian soldiers whose names are recorded on this wall, 2 unidentified soldiers and 3 unidentified soldiers of the forces of the Empire.” Flints are inset in front of the panels which list the names. Of these, all except one died on the 9th of April 1917, the day of the battle at Vimy Ridge. 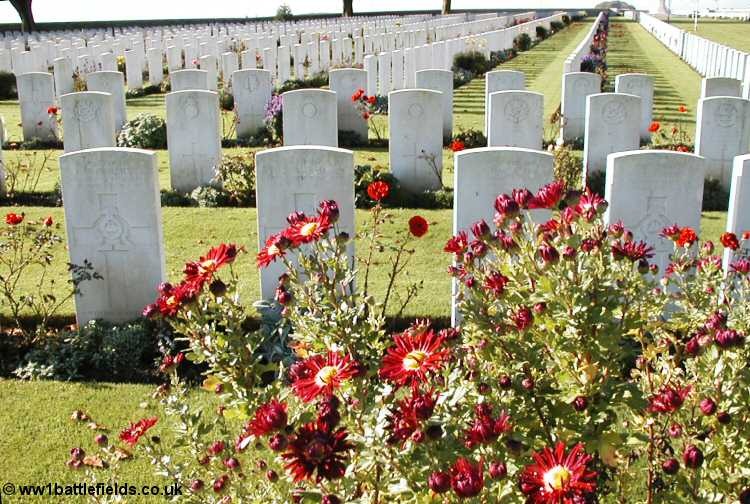 The CWGC website records 53 burials here, five of whom are unknown. 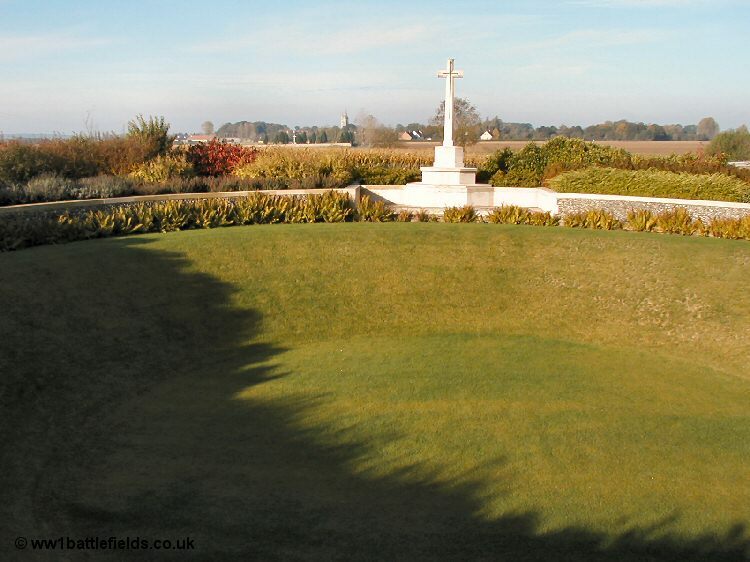 Lichfield Crater Cemetery, a little to the north was originally designated CB2A. Again, it is essentially a mass grave with 57 burials, 15 of which are unidentified. Of the 42 known burials, all except one are of Canadian soldiers, 39 of whom died on the 9th of April 1917. The grave of one soldier, Private Albert Stubbs of the 8th Battalion South Lancashire Regiment, who died nearly a year earlier, on April 25th 1916, was found on the edge of the crater after the Armistice. Unlike Zivy, this crater cemetery does contain one headstone, that of Private Stubbs. 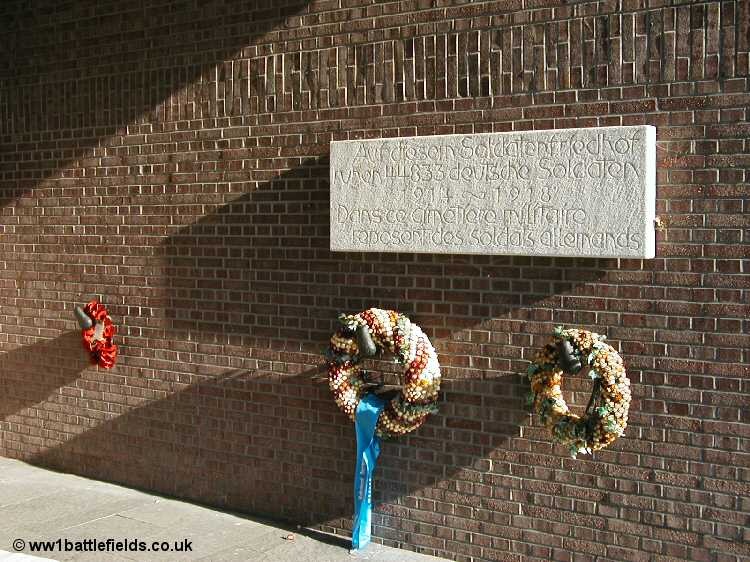 The other names are again inscribed on panels, here set in flint panels between the twin flights of stairs that rise either side of the Cross of Sacrifice. The Canadian Artillery Memorial is located at the busy cross-roads of the N127 and D49 on the edge of Thelus. 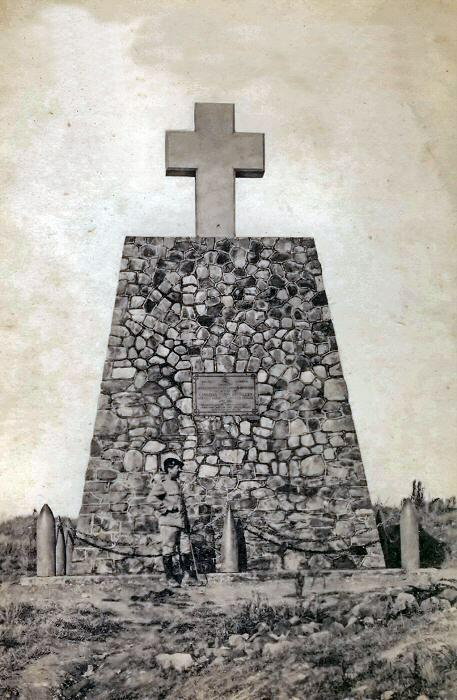 The inscription reads ”Erected in memory of officers, non-commissioned officers and men of the Canadian Corps Artillery who fell during the Vimy operations April 1917“. Listed below are the units; the Canadian Field Artillery, Canadian Garrison Artillery, Royal Field Artillery, Royal Garrison Artillery and the South African Heavy Artillery. This is a large and imposing structure in very good repair, and little changed over the years as the interwar photo below shows. 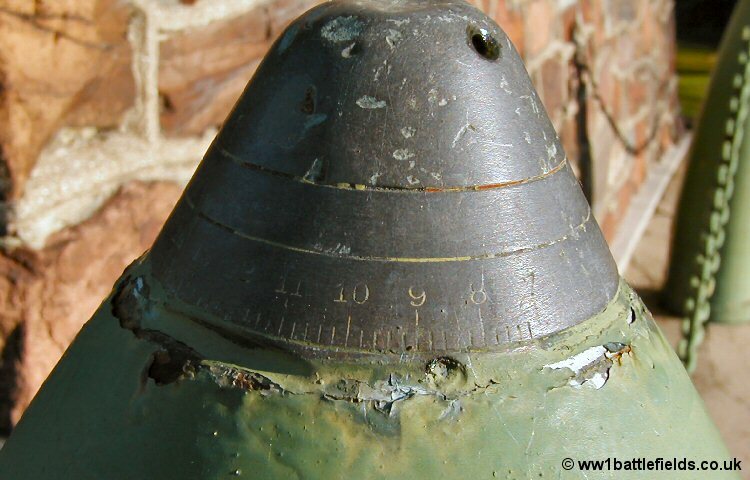 The corner columns surrounding the monument (shaped like shells) have actual fuses from shells attached to their tops. 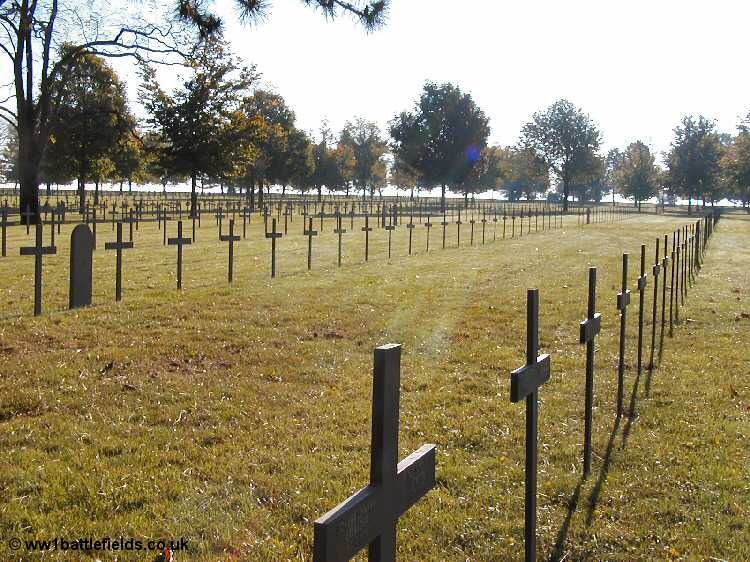 In Neuville-Saint-Vaast is the largest German War Cemetery in France. A notice board at the entrance explains that the war cemetery was established first by the French military authorities between 1919 and 1923, and served as a collection site for German war casualties from the regions north and east of Arras. It may have originally been known as Maison Blanc. 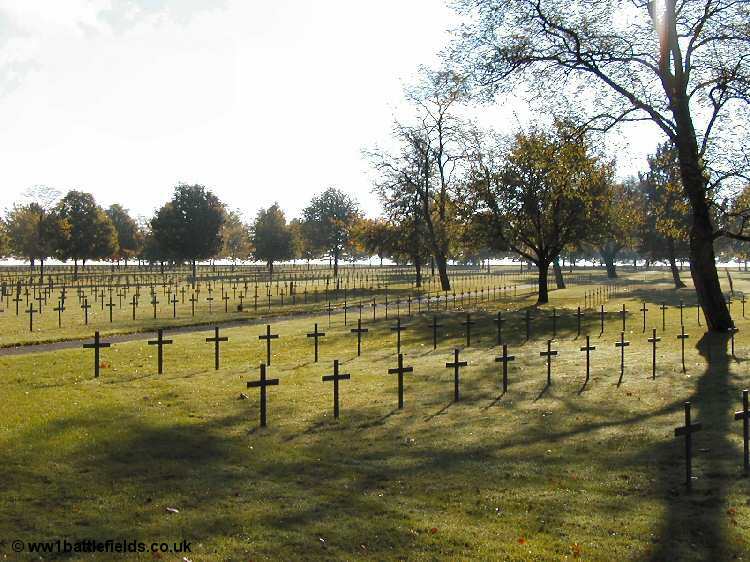 The German Wargraves Commission, the Volksbund Deutscher Kriegsgraberfursorge (VDK) redesigned and reorganised the cemetery between 1975 and 1983. It was reopened to public on the 13th of November 1983, and there are now approximately 44,830 burials here. Inside the rather forbidding entrance on the left is a concrete plinth with a relief map of the local area, and also reliefs on each side, some showing nature scenes. On the wall to the left is a sign summarising the number buried here. As you walk up the path leading into the cemetery, you start to appreciate the vast scale of this cemetery. It truly is huge, and, as with several other German war cemeteries, it seems to have a dark atmosphere even on a bright sunny day. The crosses stretch off in regular lines underneath the trees into the far distance. 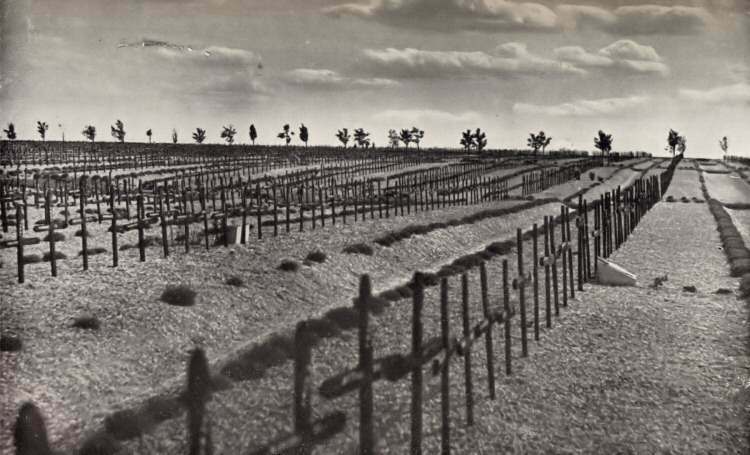 As the defeated nation, and the invader, there are relatively few German cemeteries in France and Flanders, with land given less willingly, but this is a vast area which cannot fail to move you. A photograph from before the Second World War can be compared with the scene today, below. Another very large war cemetery is found at la Targette. 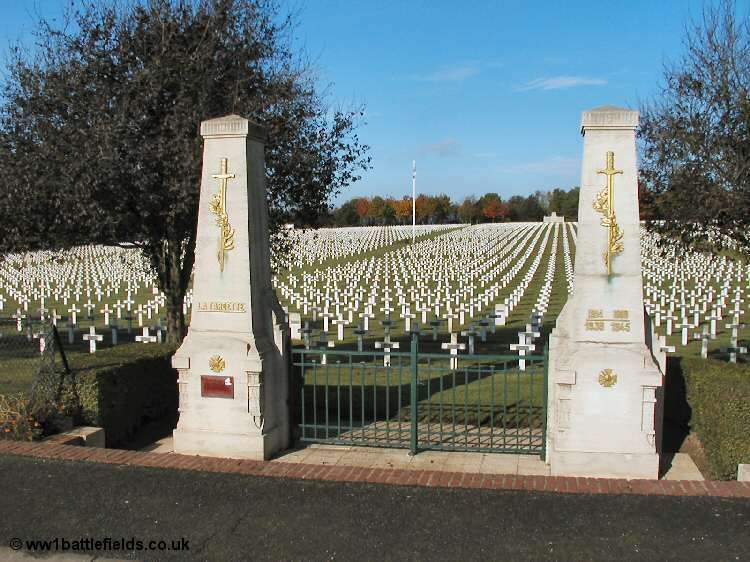 This is La Targette French Cemetery which dwarfs the smaller British Cemetery to its immediate right. The French cemetery is regular in its layout, with the lines of crosses symmetrical and forming interesting patterns as you walk amongst them. 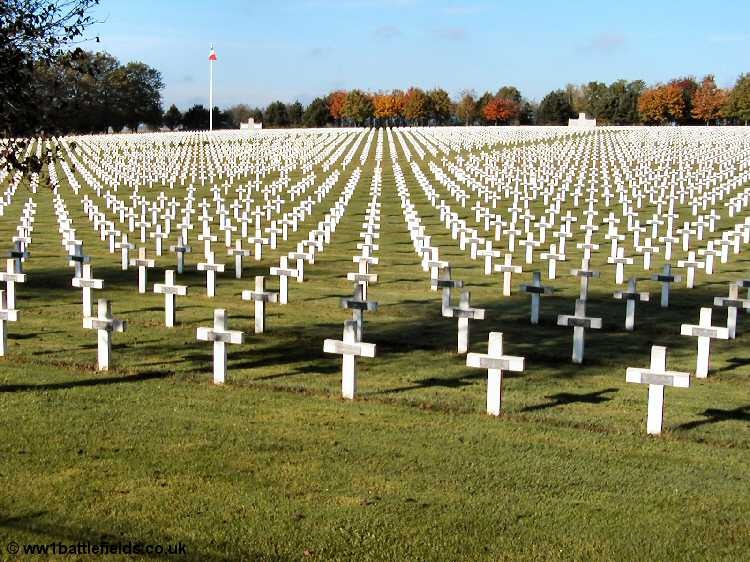 Although the vast majority are crosses, there are some headstones more similar to the shapes found in British cemeteries, particularly in the back right corner. The la Targette British Cemetery, although dwarfed by its French neighbour, is still a peaceful spot, and another example of the superb work that the CWGC does. There are beautiful flowers even in mid October, and the appearance is immaculate. The cemetery was started in April 1917, and used until September 1918. 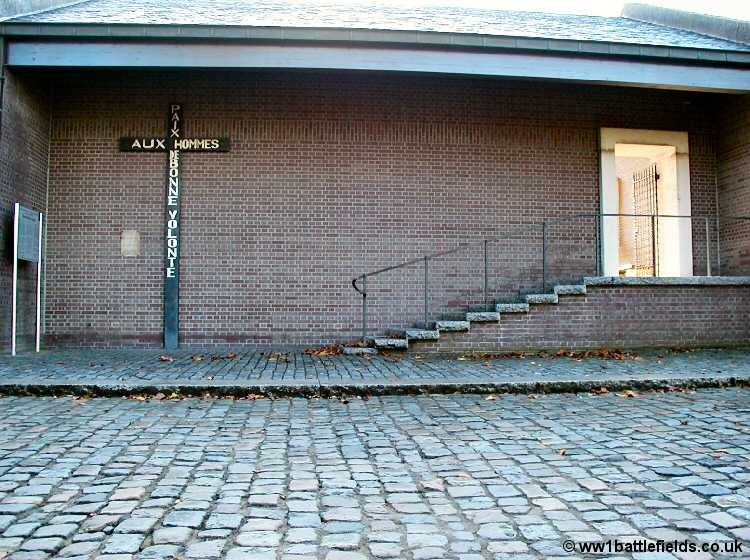 Only a small number of graves (16) were brought in here after the Armistice. 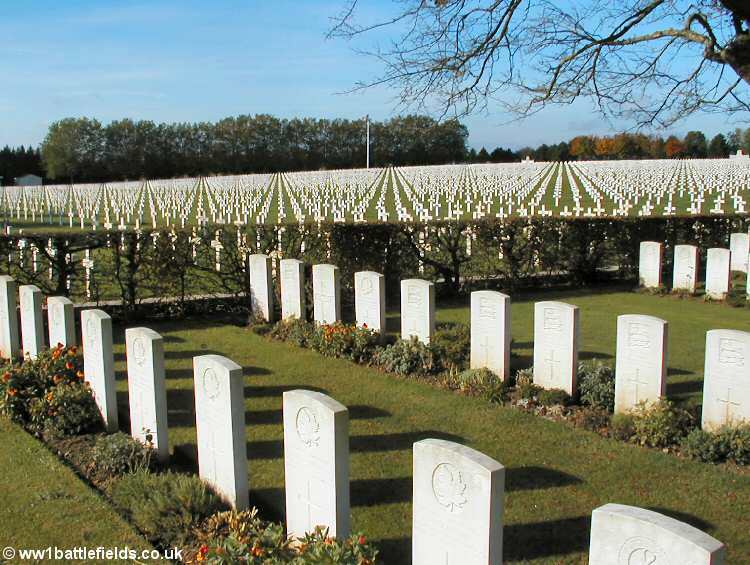 There are just under 650 graves now here, including three from the Second World War. Some interesting headstones can be seen in the cemetery: some burials of Indian soldiers. 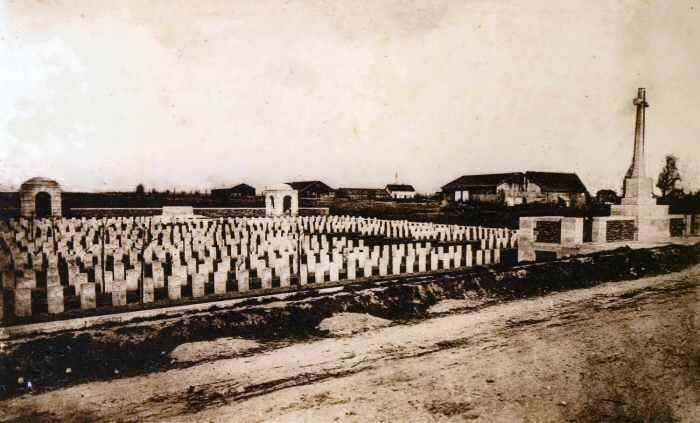 It is possible to enter the French Cemetery from the left rear of the British one, rather than going back along the road to the gates of the former. 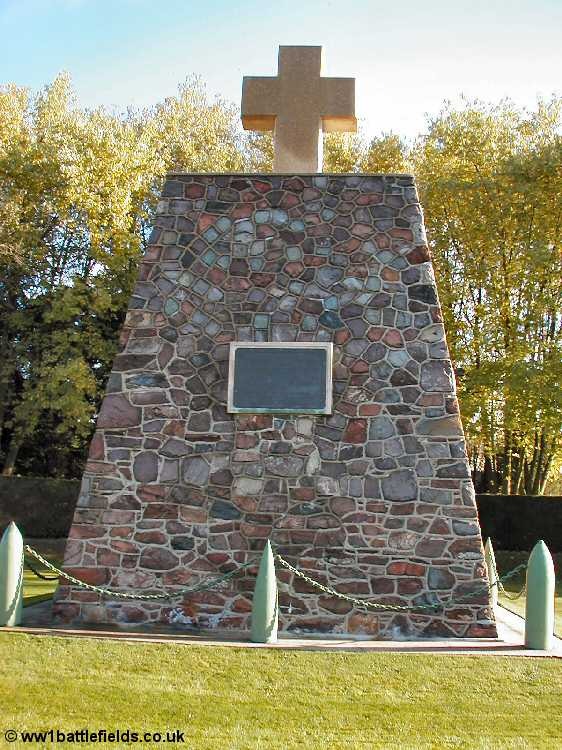 The La Targette village war memorial is of an interesting and unique design – a hand carrying a torch, rising from the rubble. Flags fly in front of this monument; that of France on the left, and the EU on the right. The ‘identification tag’ on the wrist of the hand has the date 5th May 1915, and in front is a plaque with a poem that asks those living who pass near this torch to look on this ground full of tombs and “think of our dead whose hearts were beautiful“. Cabaret Rouge British Cemetery, located on the D937 heading north from Neuville-Saint-Vaast, takes its name from a house that used to stand by the road near here. The cemetery was started in March 1916. 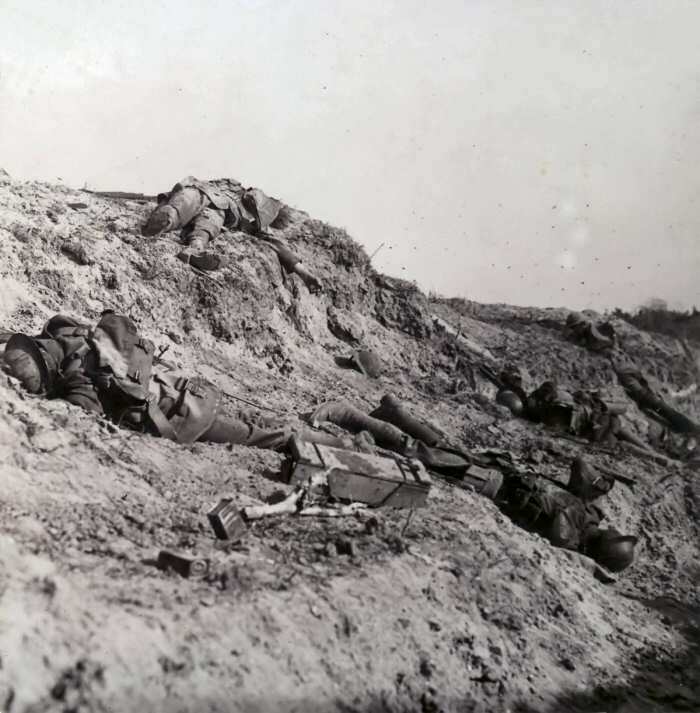 At that time, there were dugouts used as battalion headquarters located on the opposite side of the road. 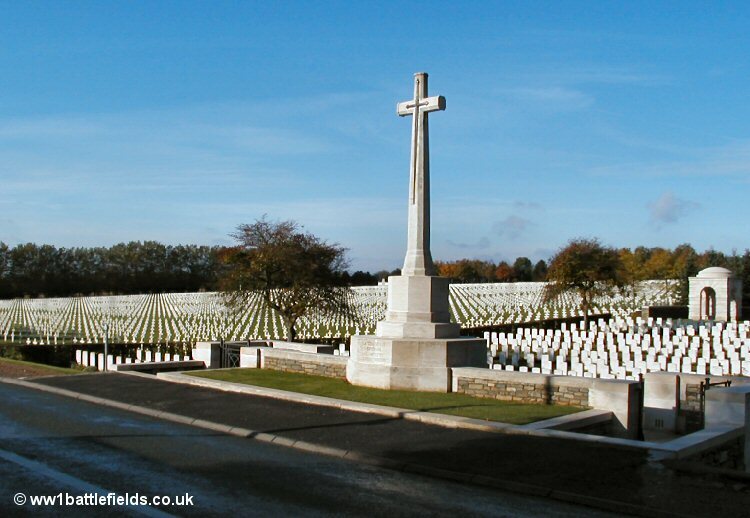 The Cemetery was used at intervals up until September 1918, and Plots 1 to 5 comprise the original burials. The other plots (6 to 31) were concentrated here after the Armistice. 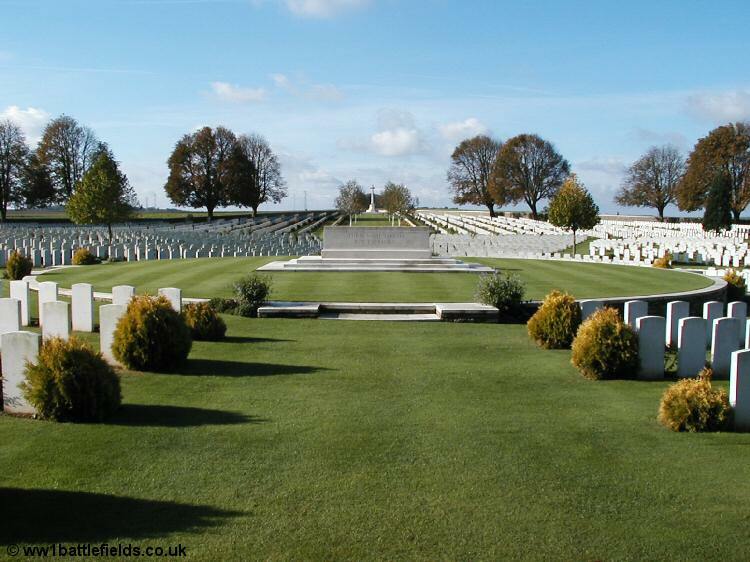 There are 7655 burials from the Great War here, nearly 4,500 of which are of unidentified soldiers. This is a truly beautiful cemetery,with superb blooming flowers even in late October. 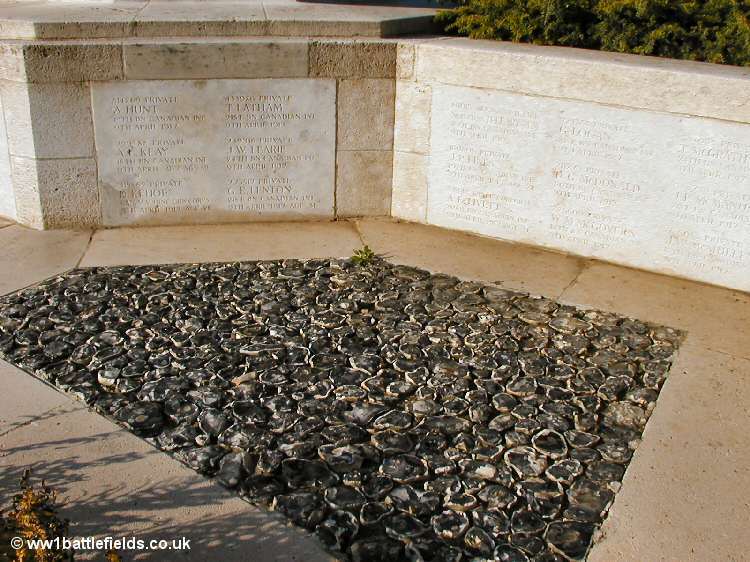 It also has a very attractive and well-thought out layout, with graves laid out in semicircles around the raised Stone of Remembrance near the front, then a more regular layout (graves in straight lines) towards the back and the Cross of Sacrifice. 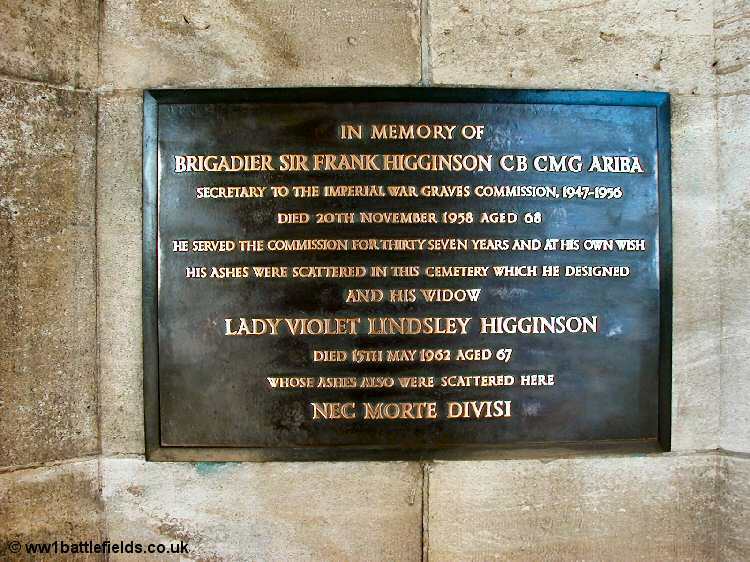 The ashes of its designer Sir Frank Higgins, and later those of his widow, were scattered here after he died in 1958, as recorded on a plaque inside the entrance way. The body of the Canadian unknown soldier was disinterred from a grave in Plot 8 here in May 2000, and later interred at Ottawa. 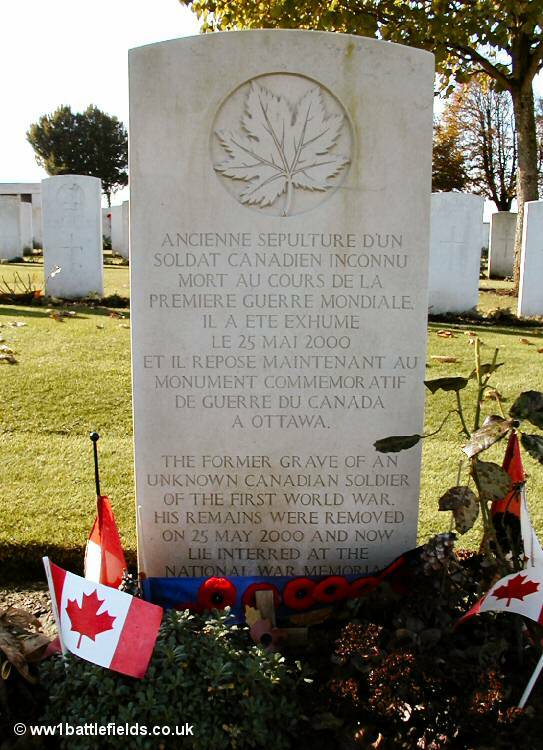 The Canadians requested that the Unknown Soldier be selected from a grave in the vicinity of Vimy, and the Commonwealth War Graves Commission chose the soldier who lay in this grave at Cabaret Rouge. On May the 25th 2000, there was a ceremony at Vimy Ridge when the remains were handed over to a delegation from Canada. On May the 28th the body was taken in a horse-drawn gun carriage and laid to rest in front of the Memorial in Ottawa. Along the right hand wall of Cabaret Rouge Cemetery are special memorials to those known and believed to be buried here, and also to those buried in several other cemeteries whose graves were later lost.